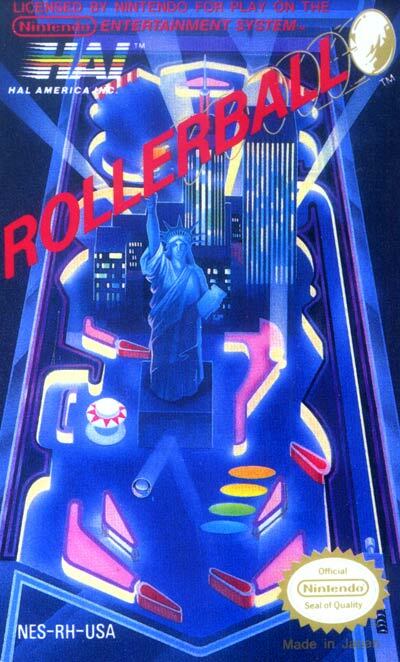 The pinball machine rendered in Rollerball is comprised of four screens, which, by proportion, would be about as long as two standard pinball tables if it were a real table. The graphics on two of the four screens are based on various aspects of the New York City skyline. The topmost screen (hereafter called the bonus screen) merely shows some clouds and a blimp. The second screen (the main screen) shows the top of the Empire State Building, while the third screen (intermediate) shows the lower skyline and the Statue of Liberty. The lowest (final) screen shows only a blue backdrop, representing the New York sewers.